In 2017, it’s not unusual to learn about women who have made major advances in science, technology, literature but have never been given the real credit they deserve for it. Rosalind Franklin was almost certainly the person who made the actual discovery of the double helix. Alice Guy’s husband took credit for the movies she was directing and producing in the early 20th century. Mary Shelley’s Frankenstein was the birth of science fiction–but is often forgotten in discussions of science fiction pioneers. We’re at a time in history when women are especially discontent to let men run things, since they’ve been doing a generally terrible job of it for a while, and the attitude that women just can’t do the things men do is preposterous to anyone who isn’t actively trying to suppress women. 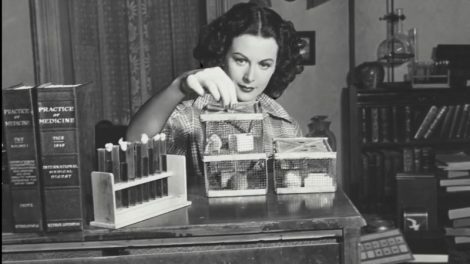 It seems a good time, therefore, for Bombshell: The Hedy Lamarr Story, a documentary about the actress who was at one time considered the most beautiful woman in Hollywood and was an inventor to boot, though few people knew about that part of her life. It’s not a happy story. Most stories about women in the early days of Hollywood aren’t happy. The expectations of the studio systems were rigorous and often abusive, and few actors (and in particular, few actresses) escape that system without trauma, addiction, or the support needed to transition into a life outside of Hollywood. Lamarr was a stunning woman and also a bit of a hustler. She knew how beautiful she was, even as a teenager, and she knew that she could use the power of that beauty over the men she knew. She used her looks to make her way into films from Austria’s biggest film studio and later, as Europe began to look very bad for Jewish people (including Lamarr herself, whose birth name was Hedwig Kiesler), to catch the eye of Louis B. Mayer of Metro-Goldwyn-Mayer, launching her Hollywood film career. Lamarr, remarkably intelligent and forward-thinking, even as a young woman, felt her attractiveness was a means to an end and was often frustrated by the idea that the only thing anyone ever loved her for was her face. This framing of Lamarr as a woman who was so gorgeous that no one ever took her seriously isn’t a bad way to encourage viewers to care about an actress who isn’t exactly a household name even by Golden Age actress standards. 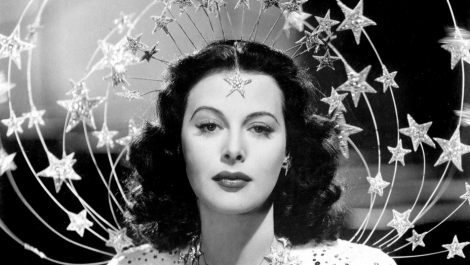 The documentary positions her as the actress who defined beauty standards in Hollywood for years, implying that dark hair parted down the middle and dramatic eye makeup became popular among actresses in the ‘30s and ‘40s because Lamarr was so well-regarded. She becomes almost mythical here, an actress with only one or two truly memorable films, who had a great impact on Hollywood films regardless. She becomes a strangely feminist hero–defiant almost to her ruin, bold even in the face of every odd stacked against her. And she so often fails. 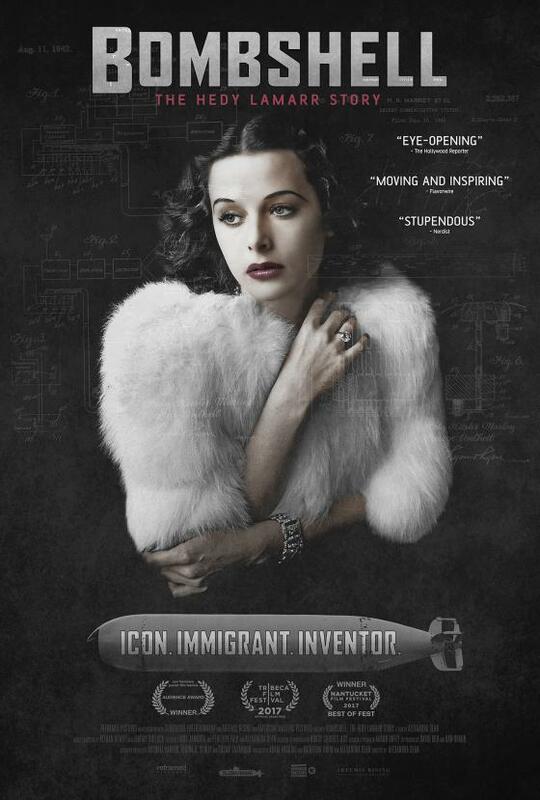 The film stands as an attempt to tell Hedy Lamarr’s story as she herself would have told it, a replacement for the autobiography she always meant to write and never did (discounting the existence of a biography written earlier in her life, handled by a publicist and not representative of Lamarr’s life, as far as she was concerned). Alongside the usual interviews one finds in these documentaries, with children and grandchildren, the friends that are still alive, experts, and fans (Mel Brooks, Robert Osborne, and Diane Kruger act as the necessary famous faces) are frank interviews Lamarr did herself in her later years, as a woman who had no career to speak of, a recluse living essentially in poverty, and very little to lose. Alongside honest appraisal of her mistakes, particularly regarding business decisions, and the understanding that she was perhaps taken advantage of because of her gender, Lamarr speaks with a confidence and comfort in the way she lived that adds much-needed heart to the story. On recordings mostly from never-before-heard interviews, Lamarr discusses her inventions, politely shuts down any suggestion that she stole her ideas from men that she knew, and reflects on whether anyone ever really understood her–or even tried to get to know the woman behind the face. Lamarr’s invention for a spread spectrum communication system, intended for use against the Nazis during World War II, almost feels like an afterthought in this film. There’s an irony to that; just like her contemporaries, the documentarians get caught up in her personal dramas–her several failed marriages, her brief drug addiction, her botched plastic surgeries. But somehow, that preoccupation functions to show a highly intelligent woman who was failed by the patriarchal system she lived and worked in. Despite playing by all the rules presented to her, despite the expectations others had for her, expectations she worked so hard to meet, in the end, she still failed–because this system has no winners. Lamarr’s technology went largely unrecognized, and unused, until the 1950s during the Cuban Missile Crisis, when it made possible secure communication between U.S. military ships and planes. 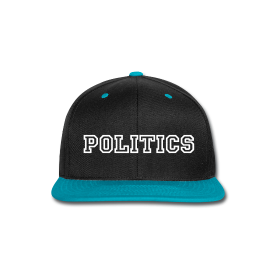 It has since been used widely as the basis for WiFi, Bluetooth, and GPS technologies. Lamarr is a largely forgotten idol, whose talents and accomplishments have been overshadowed by a life rife with scandal and anguish. Bombshell attempts, and mostly succeeds in, a difficult feat–highlighting the mind of a woman whose mind was considered the least valuable part of her and explaining, but not excusing, her many personal and professional mistakes. Perhaps that’s the most feminist quality of Lamarr’s life, not just that she was highly intelligent or that she refused to allow her face and charisma to be her meal ticket, but that she was deeply human, often lonely, often afraid. Toward the end of her life, she could recognize her own mistakes and knew there was no conspiracy to ensure her failures, but she could also recognize that there was no support there from the start. As a woman, she had to lead a sort of double life: as the bombshell that they all wanted her to be and as a genius, trying to bring to life all the ideas her restless mind could imagine.